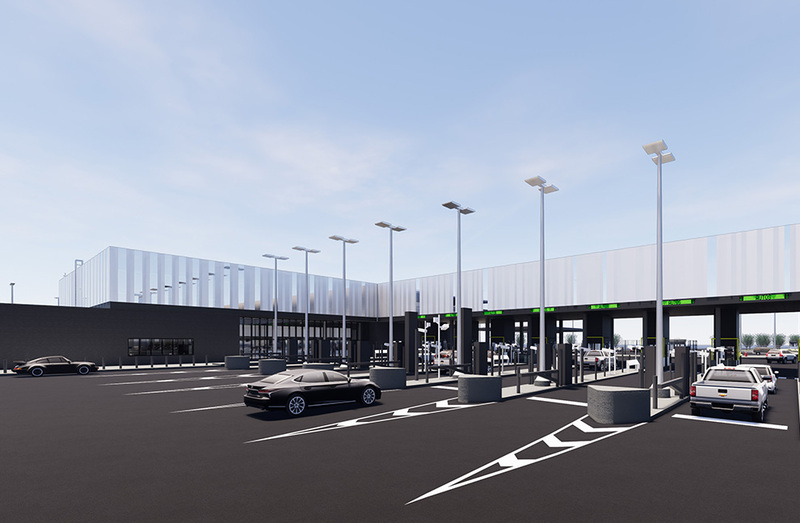 The new plaza design at the Lewiston-Queenston Bridge Plaza in New York (The Lewiston Land Port of Entry) is the northernmost border crossing of the four LPOEs in the Buffalo area and besides the Peace Bridge in Buffalo, the only other Port of Entry that processes commercial vehicles. The port is expecting to see increased commercial and personally owned vehicle (POV) traffic in the foreseeable future and required reconstruction. 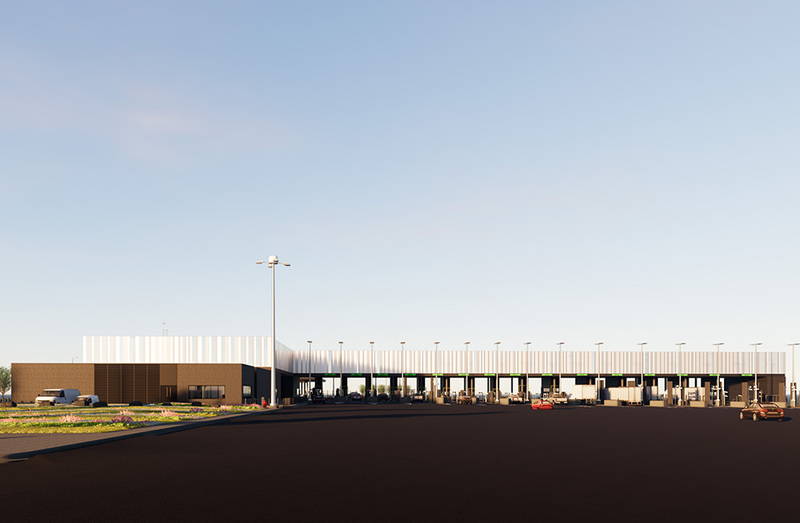 The Lewiston-Queeston Bridge Plaza project currently includes the design of 4 new Custom and Border Protection (CBP) buildings, a maintenance facility for the Niagara Falls Bridge Commission and a new duty free building. 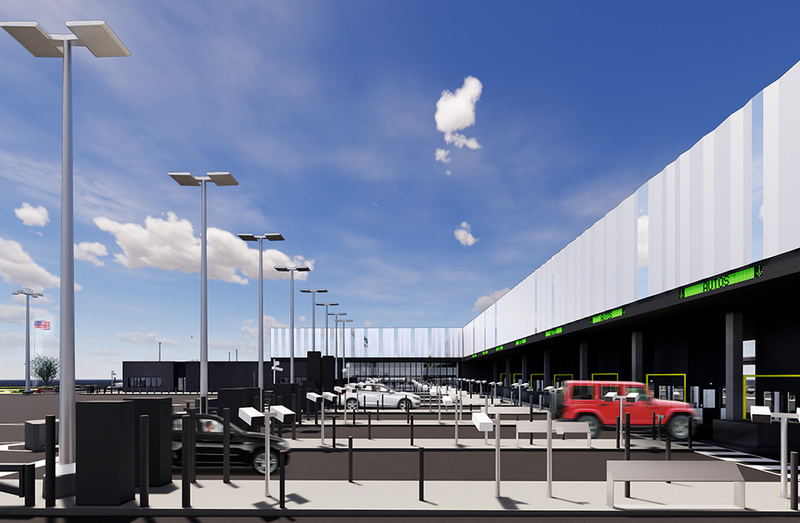 The design also features a lane expansion to 17 primary customs inspection lanes and 20 secondary inspection lanes. A carefully planned construction phasing schedule will allow for the existing plaza to remain fully operational throughout the duration of the construction. 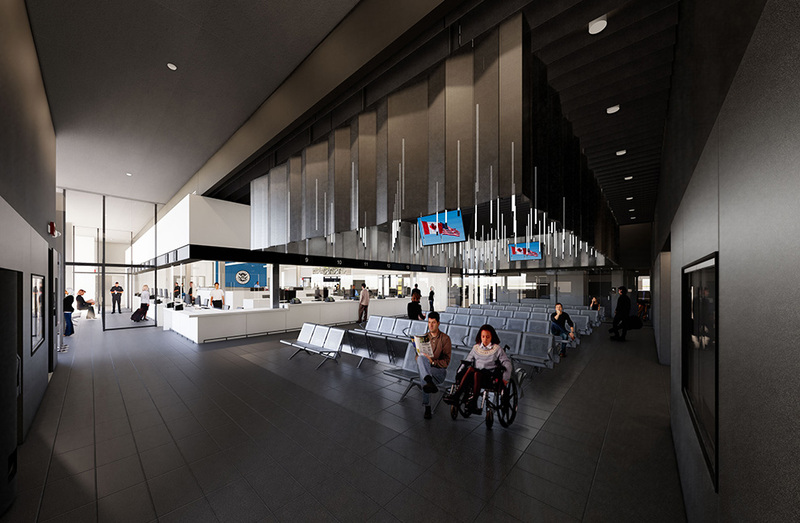 Lewiston-Queenston Bridge Plaza will be delivered to LEED Silver Certification and began construction in the spring of 2014.